Welcome to our Glendale Education Foundation website. Our hope is to encourage you or your organization to join our Foundation and “Leave a Legacy” as an interested individual, former alumni, corporate donor, or another charitable organization willing to help our Glendale School District students achieve their highest goals. As an IRS 501(c)(3), non-profit charitable organization, your financial gift is tax-deductible for the applicable tax year. The Glendale School District Education Foundation is registered with the Pennsylvania Department of State, Bureau of Charitable Organizations (Certificate #30177), certifying the Foundation is authorized to solicit charitable contributions under the conditions and limitations set forth under the Solicitations of Funds for Charitable Purposes Act, 10 P.S. Section 161.2 et seq. Our Foundation was incorporated on March 28, 2002, with the mission to generate and manage resources to enhance learning opportunities and reward students and staff of Glendale School District for educational achievement and academic excellence and innovation. Our Foundation will reward that effort in the form of allocations such as scholarships, cash incentives, classroom mini-grants and a myriad of other programs and resources. Glendale School District Education Foundation board of directors learned that it has been honored with a prestigious 2016 Top-Rated Award by GreatNonprofits.com, the leading provider of user reviews about nonprofit organizations. “We are excited to be named a Top-Rated Nonprofit,” says Richard W. Snyder II, Executive Director. Glendale Education Foundation was part of the inaugural group to qualify for the year. In addition, we’ll be added to GreatNonprofit’s #GivingTuesday Guide—an interactive guide to top nonprofits throughout the years, which is published near the holidays. “Savvy donors want to see the impact of their donations more than ever,” said Perla Ni, CEO of GreatNonprofits, “People with direct experience with Glendale Education Foundation have voted that the organization is making a significance difference in the lives of students at Glendale.” Being on the Top-­‐Rated list gives donors and volunteers more confidence that this is a very credible organization. The reviews by donors, clients and other recipients show the on-­‐the-­‐ground results of this nonprofit. This award is a form of recognition by the community about Glendale Education Foundation’s Mission: To generate and manage resources to enhance learning opportunities for students and staff of the Glendale School District. “GreatNonprofits” is the leading site for donors and volunteers to find reviews and ratings of nonprofit corporations. Reviews on the website influence 30 million donation decisions a year. Visit www.greatnonprofits.org for more information. 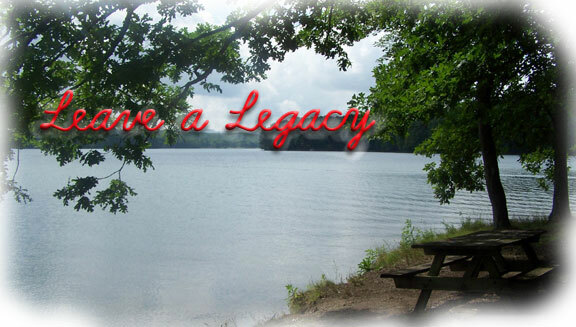 The Glendale School District Education Foundation encourages all former alumni, parents, grandparents and local businesses to "leave a legacy". What does this mean? It can mean helping the students currently in school, which would be our immediate need for financial resources to fund allocation programs we're doing annually to improve the academic environment of 'today's' students. However, by definition, "legacy" means a charitable bequest, endowment, or benefaction for a longer term of time: an 'inheritance' of funding that can be utilized for our children's children into perpetuity. This may be yet a better explanation of our mantra to "Leave a Legacy" ​through our Foundation!